Bring together a theme of beauty and style in a room of your home with this stunning shabby chic chest of drawers. 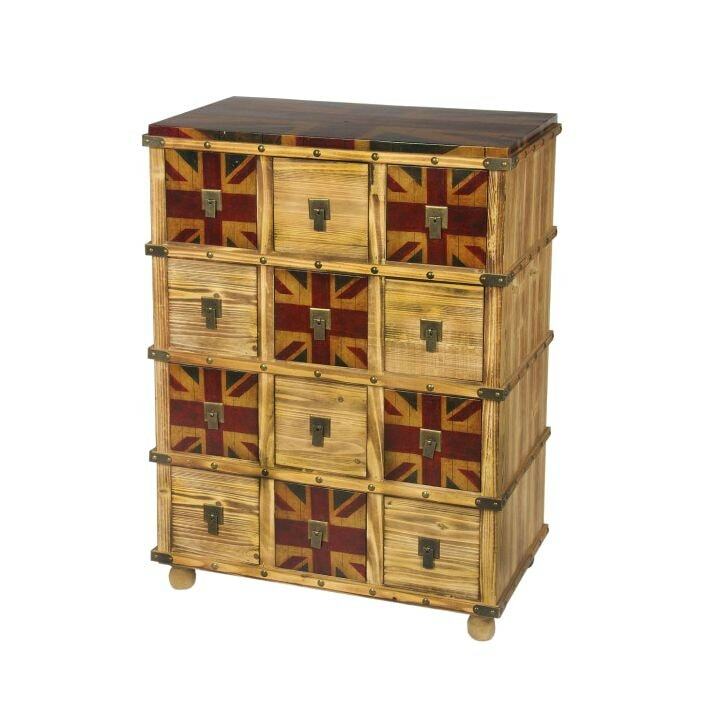 Featuring a beautiful union jack vintage style with 12 practical drawers. This marvelous chest will provide aesthetics and beauty combined.